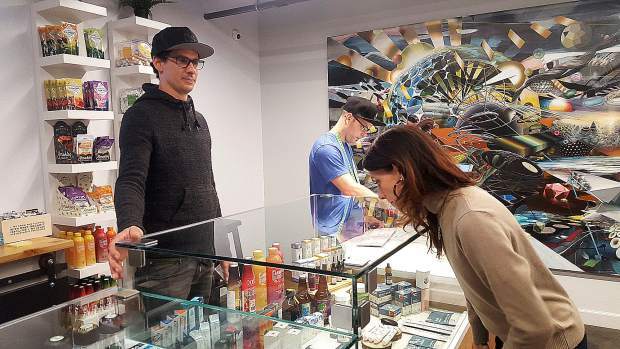 Maria Herrera makes her selections to become the first customer to buy adult-use cannabis from Elevation 2477' co-owner Daniel Batchelor, left, as wellness associate Justin Pasquariello mans the register. After months of jumping through hoops and a few last-minute bureaucratic snags, the co-owner of dispensary Elevation 2477’ was about to make the first retail sale of adult-use cannabis in Nevada County. 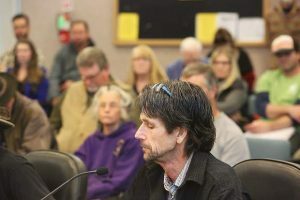 It’s been somewhat of a marathon for Batchelor, who was awarded Nevada City’s only medical cannabis dispensary license in February 2018 after months of controversy. Elevation 2477’ threw open its doors in August on Searls Avenue, but the dispensary’s owners soon began sounding out the city council about allowing adult-use sales, with Batchelor estimating he was losing two-thirds of his potential business. 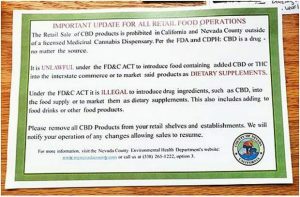 In December, Nevada City became the first municipality in Nevada County to allow adult-use cannabis businesses to operate within its city limits. And on Wednesday, Elevation 2477’ met one more hurdle after the city council unanimously approved a procedure and questionnaire for converting authorized medical cannabis businesses to authorized adult-use businesses. The questionnaire addressed the potential impact of increased traffic and parking issues, explained City Planner Amy Wolfson. “If we adopt this, I can approve Elevation 2477’ effective tomorrow,” she said. It ended up taking until the middle of the day. Within minutes, several more customers had walked in the doors. “I’m very happy with adult use being here,” said one man, who said he had been using a delivery service but was appreciative of a more convenient way to purchase cannabis.